Scaling the highest mountain has always been a conquest human beings have eagerly endeavored. Mount Everest has served as the most notable of these peaks, with countless climbers successfully reaching the top since 1953 — and 200 known mountaineers dying in the process since 1922. Now, according to CNN, those who perished while traversing this treacherous terrain and disappeared beneath the frozen tundra are becoming exposed as global climate change melts the snow that once entombed their bodies. Because it’s too dangerous to add a corpse to one’s minimal cargo while battling the thin air and hostile weather at those heights, most of the bodies which perished en route to the peak remained frozen over and buried in the ice. But with the effects of modern climate change, however, that ice is now melting faster than ever before — thawing out the dead, reminding unsuspecting climbers of the dangers that lie ahead, and posing a great challenge to the people of Nepal in removing those bodies in a respectful and safe manner. 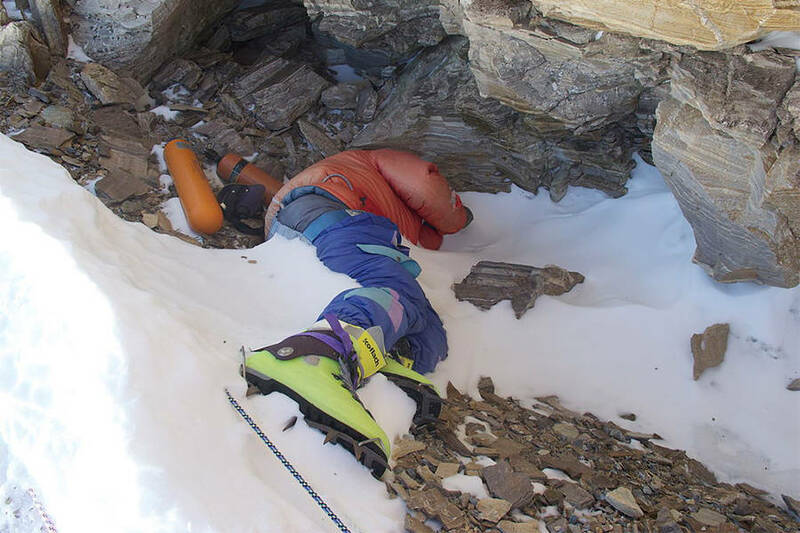 Wikimedia CommonsThe body of Tsewang Paljor, also known as “Green Boots” is one of the most famous markers on Everest. Of course, the primary causes here are the rapidly affecting consequences of climate change, which are extremely notable in temperature-specific environments such as Nepal’s world-famous and highly-visited mountains. 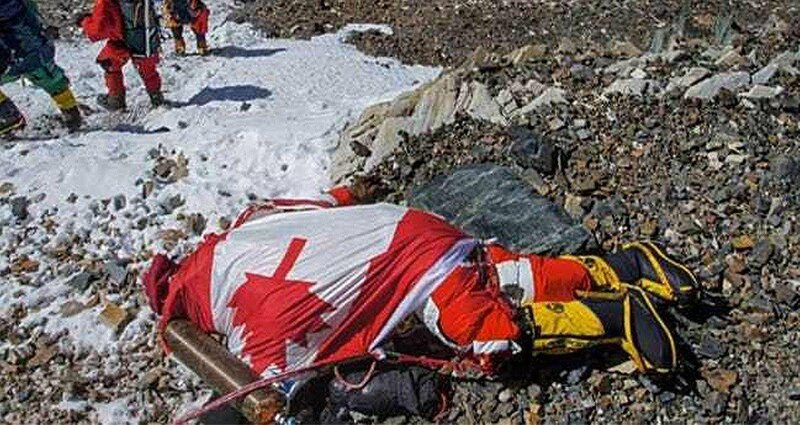 According to the BBC, dead bodies are even being exposed and discovered at Everest’s relatively flat camp sites such as South Col.
“Hands and legs of dead bodies have appeared at the base camp as well in the last few years,” said an official with a non-government organization in the region. NNMGA treasurer Tenzeeng Sherpa strongly agreed with this assessment, that global warming is causing glaciers to melt faster than ever, even by one entire meter per year. 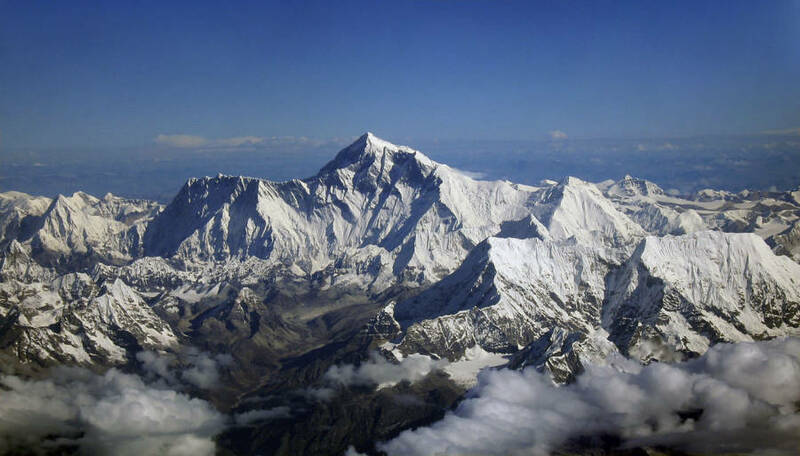 In 1953, Edmund Hillary and Tenzing Norgay scaled Everest’s summit for the first time. More than 4,000 people have followed since then, but unfortunately, not all of them made it back down. 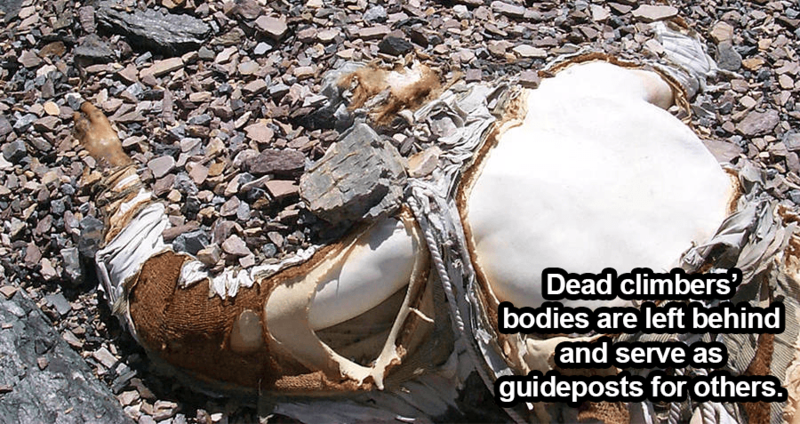 Recovering those bodies is not only difficult, but expensive and deadly. For Tshering Sherpa — one of the very first students at a mountaineering school built by Hillary — said that one of the most perilous recoveries ever accomplished took place near the peak, at 8,700 meters. According to The Guardian, removing a dead body can cost up to $80,000 — not a frivolous affair — and though Nepalese law requires government agencies to be involved in these removals, things often get done without their help. It can take quite a while for sherpas like Tshering to garner the necessary funding from the government to engage in these hazardous removals. However, he explained that his community often does so regardless of expenses and that there’s a moral responsibility at heart. “We, the operators, feel it is our duty and so whenever we find them, we bring the bodies down,” he said. Next up, read about the final hours of Francys Arsentiev — Mount Everest’s “Sleeping Beauty.” Then, see the moment hikers discovered George Mallory’s body on Mount Everest.